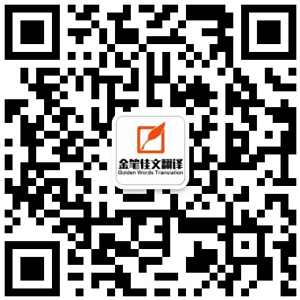 I am Investment Director of Tianjin Venture Capital Management Co., Ltd. Here, I am honorable to recommend Mr. CUI Chen to you. Tianjin Venture Capital Management Co., Ltd. was established in 2003, and one of its initiation shareholders is the 1st city government leading fund of funds established together by Tianjin Science and Technology Commission and Tianjin Finance Bureau. For many years, relying on regional policies and resources advantages, Tianjin Venture Capital Management Co., Ltd. gathers various kinds of capital such as national government, local government, listed company, and industry tycoon, and focuses on the professionalized investment in the key fields such as advanced manufacturing, TMT, energy saving and environmental protection, health and medicine, and modern services, etc. Up to present, in the more than 60 high-tech or high growth intermediate and small enterprises invested by this company in total, nearly 10 enterprises have been listed in A stock exchanges of China successfully, nearly 20 enterprises have been listed in National Equities Exchange And Quotations of China, many enterprises have finished listing merger and acquisition as well as the 2nd round financing, the listing proportion of the invested projects is as high as 15%, and the investment income exceeds industry average level far. 1. Taking part in making the long term plan and annual investment plan of the company. 2. Taking part in the appraisal and decision making of the investment projects. 3. Being emphatically responsible for the work of withdrawal from the fund investment projects managed by the company, and ensuring the fund recovery and value add of the fund of the contributors through the ways of listing, merger, acquisition and repurchase, etc. of the invested enterprises. 4. Being emphatically responsible for the clearing work after the due of the funds managed by the company. 5. Taking part in the raising and establishment work of the funds of the company, acting as fund manager of the Tianshi Fund and Tianbao Fund managed by the company, and acting as legal representative of Fuxin Fund. 6. Being responsible for the work of screening, establishment, due diligence survey, investment report drafting, late period management and value added services of part of invested projects of the company. 7. Acting as project establishment decision making committee member and investment decision making committee member of the company, and ensuring the quality of the projects planned to be invested by the funds. 8. Acting as the management personnel of the investment teams, and being emphatically responsible for the management of the investment teams.